Open to any youth who is a youth or regular member of ADGA or who is part of a family membership. Youth do not need to be in attendance at the annual meeting in Atlanta, GA to enter or to win. 1. The essay must have been written by the youth member between September 1, 2016 and August 31, 2017. 2. The essay must be between 500 – 750 words. 3. The essay must be double spaced, typed with the pages numbered, and single-sided. 1. Include a cover page that includes your name, age as of September 1, 2017, and contact information. 2. 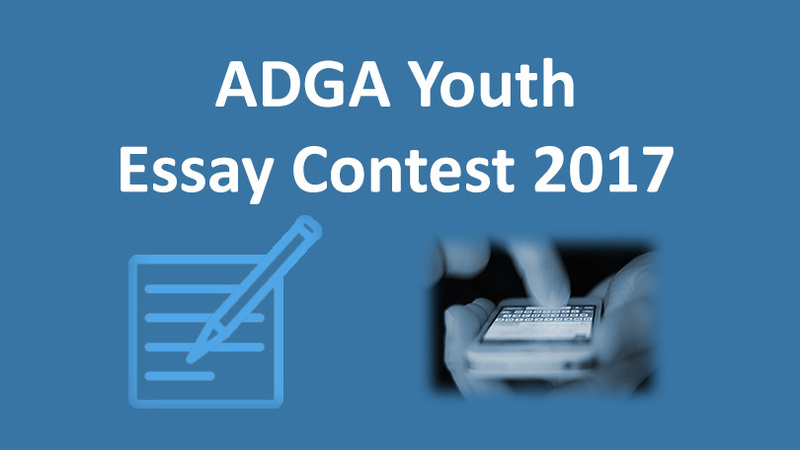 Email your entry to hull@adga.org. Essays must be received no later than 12:01 AM September 1, 2017 EDT. 1. Winning entries will be awarded at the Annual Convention youth meeting in October. 2. First place in each age division will receive a cash award of $65; second place in each age division will receive a cash award of $35. 3. Winning entries may appear in ADGA publications or publications of associated organizations. 1. The same scoring rubric will be used for all ages. • Beginning to think logically and symbolically. • Enjoy playing with ideas; learning to think for themselves. • Getting better at making choices, but still need guidance. • Are better at planning than executing. • Have increasing ability to see how things relate and to use this in problem solving; are mastering abstract thinking. • Have the ability to make and execute short term plans; able to initiate and carry out tasks without supervision. • Are becoming better judges of their abilities. • Goals are based upon personal needs and priorities. 1. Understanding the Topic: To what extent did the writer demonstrate a clear understanding of the question and respond with details about his/her experience? 2. Original Thinking Relative to the Topic: To what extent was the original thinking relative to the subject? 3. Effectiveness in Presenting a Point-of- View: To what extent did the writer present his/her point-of-view? 4. Literary style, grammar, and spelling.